I love, love, love Bar Congress. 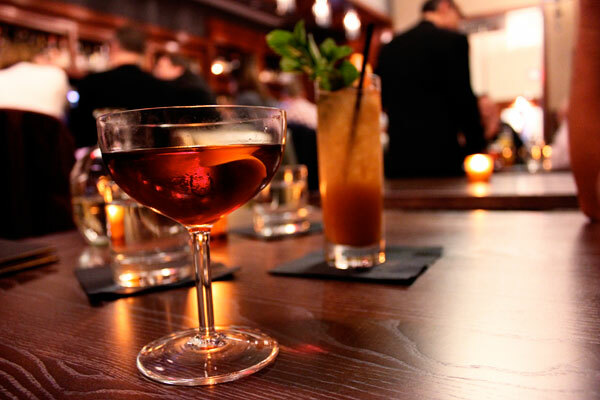 It’s tiny, cozy, swank and yet approachable, and the drinks are fantastic. Both times we’ve gone, Adam was behind the bar making lovely cocktails. Above is my Palmetto Cocktail, made with rum, vermouth and orange bitters. In the back is Justin’s Tam Tam Swizzle. They have a small food menu as well, though we haven’t tried any edibles here. 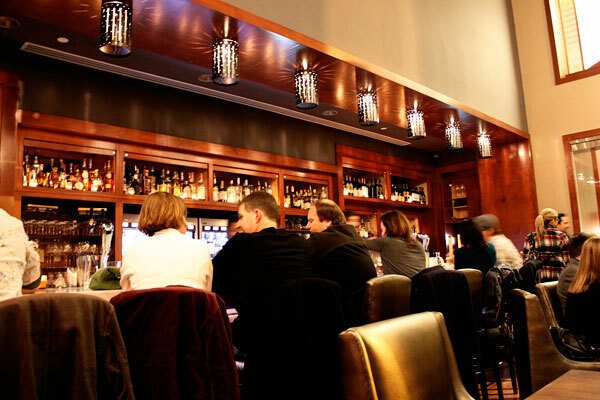 You can also swing over to Second Bar + Kitchen next door for dinner or snacks, which we hope to do very soon. We still haven’t been! Can we accompany you?